Finding a Divorce Attorney in San Diego Ca. Divorce is a negative word because it just is, and of course, the act of divorcing a spouse can get downright ugly. If children are involved, it becomes even more complicated. Money is another subject that ca n raise the stress level for people getting divorced. Affordable legal assistance can help lessen the burden of divorce. The Goal of this Divorce Attorney in San Diego Ca. Paul Staley has one goal as a lawyer; to make a complicated situation easier for his clients . Paul Staley has 20 years of experience as a divorce attorney in San Diego Ca. He is highly respected among his fellow San Diego county attorneys and throughout the San Diego family court systems. He provides his clients with a level of integrity and professionalism that is unique because he uses a calm and steady, never hurried, approach when helping them. These days more and more people are doing divorce and child custody themselves in San Diego county without legal advice . Due to this new trend Paul got more and more calls to do clean up on divorce and custody issues that did not have to happen that way ,if the clients had gotten more detailed advice on long-term implications of the orders that were made in San Diego family court. This law firm understands the high cost of full court litigation can get out of control for some folks. Paul set about changing things up, so those on a fixed budget could still afford the expertise of a committed divorce attorney for San Diego area clients. 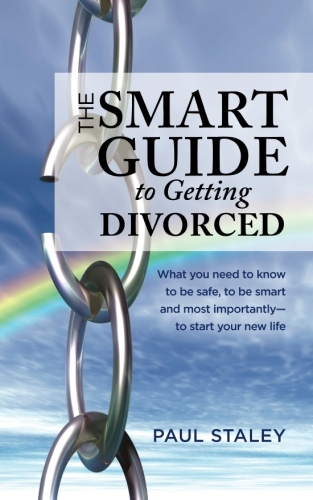 Educating the client about divorce law and the choices they might have. Creating for the client legal documents. Clients learn from Paul , tips and hints to designing a case strategy. They hear how to do things for themselves such as building an oral argument. Paul is available in whatever way a client needs him to assist in their divorce and custody issue , but without the high cost of full-on attorney. He will be in the background as your coach He has a rock-solid reputation as an honest divorce attorney across the San Diego area that knows the ins and outs of divorce and shares his knowledge. If you are considering divorce in San Diego County it is good to know you have options . You can hire Divorce attorney Paul Staley as a full-time legal representative or as a legal divorce /family law coach . Paul is available to advise, assist, coach, and purposely save his clients emotional stress , but if someone wants his full-service representation, this is an available option.Paul is sincere in his approach to offer his Unbundled Services as a divorce attorney for his San Diego clients. He says it best in his own words, “I want to make sure that no one feels forced to make the choice of foregoing great legal advice. Paul Staley is for real, and he offers a new approach to the community for affordable legal services. Next post: San Diego Divorce Lawyer: What are the options ?